Like many others of you I own a Synology which I use to run a various load of servers. It is my trustworthy friend which is delivering NAS based storage to my VMware environment for quite some years now. Over the years I have been exploring the Synology quite a bit more and learned to appreciate many other features as well like “Web Station” which I use to host some WordPress websites. There is one thing that I dread however. Quite ever so often Synology releases a new version of the Disk Station Manager (DSM). New featrures are added, old features are discontinued and security fixes are applied. This is also the case for the numerous packages that are available in Package Center. All nice and perfect you would say. Great job Synology! However this time I was presented with the following screen when trying to reach the websites I host on the box. All websites seemed to have been broken somehow and present the “HTTP ERROR 500” message. Of course these things happen at the most inconvenient of times. Since I did not want to present visitors to the webpage with an HTTP ERROR 500 I decided to give Google a try and search for the error. Unfortunately it seems to be the most common error you can find so the resolution is not dictated and spelled out for you. However some peoples PHP Extensions seems to have been messed up by the DSM upgrade so I decided to give look at my PHP settings first. In my case where I use PHP 5.6 it seems the update messed with my PHP extensions. As you can see the “mysqli” extension checkbox is unmarked. Since WordPress makes use of the “MariaDB” database which is a fork of MySQL all started to make sense now. Just re-enable the extension, click “OK”and presto! You should be able to give your website a go again! An important update for the DiskStation Manager (DSM) 6.1 is released. We suggest users to update your DSM as soon as possible to ensure the integrity of your data. Download the update on your DSM: Control Panel > Update & Restore. An open source issue that’s prone to affect data integrity in rare situations has been identified. Although it only affects a handful of users, users are encouraged to upgrade to the latest DSM 6.1.3 update 4 and conduct RAID scrubbing to avoid running into this issue. The server is using RAID 5, RAID 6, RAID F1, or SHR with more than 3 disks. The volume is created on EXT4 file system. The server is running on DSM 6.0.2-8451 and above. The issue was brought to our attention a few weeks ago when the NAS communities discussed the potential data integrity threat that may occur after a RAID 5 repair. In-house investigation revealed the issue stems from Linux feature known as skip_copy. This open source feature contains a slight design fault that may lead to potential data corruption after a RAID array is repaired from degrade mode. Synology team moved quickly to identify and reproduce the issue, which is resolved in the latest DSM 6.1.3 update. 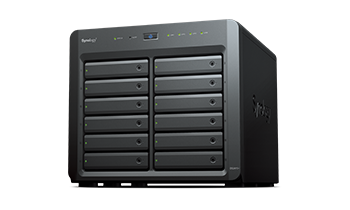 Synology is committed to high standards of data protection and safety. Keeping user information safe has always been our priority. In addition, as a vibrant supporter of Open Source, Synology has reported this issue to the Community. By calling to the attention of the mass community, we seek to join forces with influencers in the field in delivering continuous contribution on data integrity and data protection.